Putting Your WordPress Database on a Diet: Cut Out The Junk and Increase Your Speed! 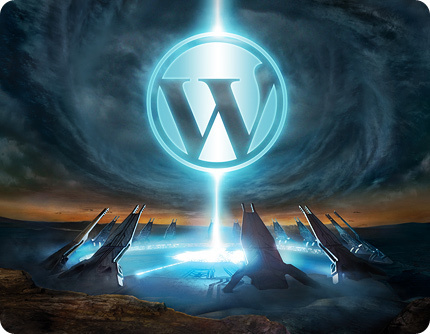 WordPress installations have two components of importance – the WP files on your server and the WP database. The database can be a bit cumbersome with multiple tables and components. Each table stores 11 components including user data, post information, post meta information, post tags, categories, comments, taxonomy description and the links between the posts, categories, and pages. Taking care of a WordPress database is a massive responsibility if done manually. Thankfully, no one does that anymore. DBAs have plug-ins and tools to help them maintain, update and clean up their databases. phpMyAdmin is a resourceful plug-in that has helped thousands of WordPress users and DBAs all across the world. RemoteDba.com recommends the use of cPanel for control panel hosting. If you are not using cPanel, do not be worried. Almost all database organization and management tools have similar user interfaces. Therefore, if you follow one tutorial or video about how to manage a WP database using a tool like phpMyAdmin, you will gain an understanding of the standard database management process. Adminer is also an excellent plug-in for database management. What About WordPress Database Security? Then why is there such a hullaballoo about database management when it comes to WordPress? Well, these plugins can give you direct access to your site databases, but they can also compromise security. Using opensource plugins and third-party plugins to access and manage your website database can pose a severe security threat to your user data. If any unauthorized user gains access to the backend of your website database using a third-party application like phpMyAdmin or Adminer, they can mine any user data they want and make enough changes to damage your site. How to Reduce the WordPress Database Bulk? The primary aim of any database optimization task is to reduce the size of your database overhead. It will reduce the overall size of your database as well. Having a cost in your WP database is quite reasonable. It is a temporary disk space that stores all your database queries. Unless it becomes bulky, it does not slow down the performance. It happens when you are using your database a lot. To preserve “optimal” performance, you need to be able to purge deleted rows, compress the data stored, re-sequence data and manage the index paths. It is quite similar to defragmenting a hard drive. You can use the SQL command “OPTIMIZE TABLE” to reduce the bulk of your overhead. If you are in a dilemma about a corrupted table that once bore useful information, you can always try to “REPAIR TABLE” instead of purging it. WP-Optimize plug-in for WordPress can help you fix old, broken down tables along with cleaning up unnecessary data and defragmenting MySQL Tables. The WP CleanFix plug-in can also help in this regard. It has all the features that can help users enable or disable WordPress database functions smoothly and niftily. Such optimization tools and plugins can repair your database tables. If you cannot fix a corrupt table during the first attempt, you can rerun the tool. When you are running clean up actions and repairs, it is necessary to ensure that you have a backup of all your databases. WP-DB Backup plug-in is one opensource plug-in from the WordPress library you can fully trust to take regular, complete backups of your WordPress data. Select your WordPress database name inside the phpMyAdmin window. Select the “Export” option on the top menu bar (Clicking on custom gives you access to more options). In the output section select your preferred output format. phpMyAdmin usually selects “text” as the default output format. You can also pick zip or gzip for more compressed options. Once you are in your hosting control panel, scroll down till you see the Backup button. Click on the backup button and scroll to the partial backup section. Select your database name to download your backup file. A lean, mean database is always faster and helps a WordPress website run faster. Cleaning up overhead space and “defragmenting” always helps to reduce the bulk of a DB. In fact, all database admins and website admins should clean out old data and remove unnecessary tables to increase the speed of their websites. Sujain Thomas is a database manager, data expert and website owner. She knows all there is to database management. Her brief stint with remotedba.com has earned her widespread fame, awards, and accolades in the professional data management world.